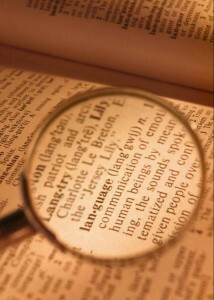 Copyright is the right to control the copying or the exploitation of a creative work. This right is designed to ensure that the creator is compensated the effort they put into creating a piece of music, literature or other ‘creative’ work. It is right that they are able to protect this right under the law, so that they have an incentive to create; a benefit to society. Dave Post on the Volokh Conspiracy looks at the downside of extending the length of time that authors rights are protected. In The High Cost of Copyright he looks at why recently discovered jazz recordings [^] from the 1930s and 40s may never be heard. While Walter Olson at Overlawyered talks about the murky area where the creator can no longer be traced [^]. The threat of massive fines means that rather than being reproduced, or reused, and saved these items may be lost to society. In other words, there is no point protecting something so much that you end up suffocating the very thing that you are trying to save. We need to find a balance between protecting the creator and ensuring that society has the access to material that it requires. Geek-favourite comic strip xkcd.com [^] has a just posted a comic about music piracy. It explains how by using Digital Rights Management (DRM) [^], or copy protection, the music industry causes the very thing that it seeks to eradicate – music piracy. Basically those of us who want to do the right thing are forced to do the wrong thing to get the right answer – the ability to listen to the music. And you all thought that the Wall*E movie pirate post was a joke! This is the bind that the USA’s DMCA [^], and recent or upcoming changes to copyright legislation worldwide are forcing honest consumers to deal with. 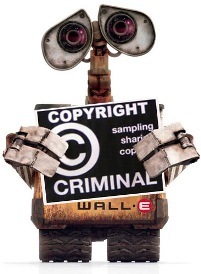 There is some interesting discussion about whether or not the ‘loveable’ Wall-E robot is a copyright criminal over at SFFaudio [^]. The link does have mild spoilers, but probably nothing that you wouldn’t have guessed at from seeing the trailer. The case that Jesse Willis at SFFaudio make centres around the robot’s “jailbreaking” of a copy of the film “Hello Dolly”. As they point out, in the year 2805 the film would be almost 800 years out of copyright protection and in the public domain. But under the USA’s DMCA [^] and Canada’s about to be enacted copyright law circumventing copy protection is a crime. So even though the 1969 film would be in the public domain, if the original media was protected by some form of Digital Rights Management [^], which video tapes and DVDs are, copying it onto another device would be a crime. Another case of hypocrisy in this film? Consumerism is bad, but buy our toys [BrizBunny Comments]; and don’t copy our robot, buy an original DVD of this movie. Despite this we here in the CannibalRabbit household are still looking forward to the movie.